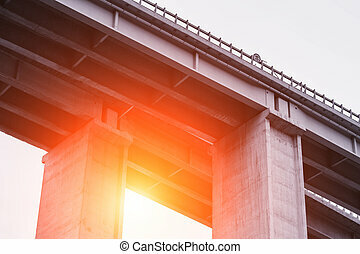 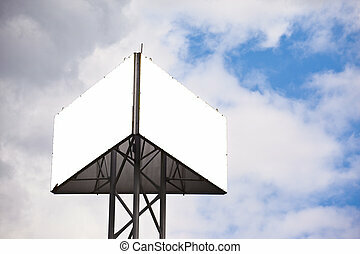 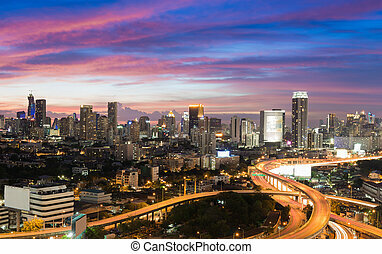 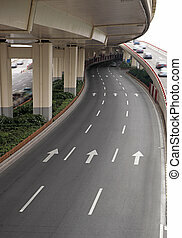 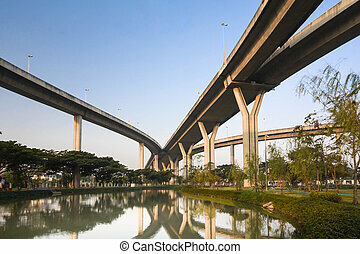 Elevated highway. 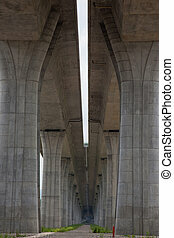 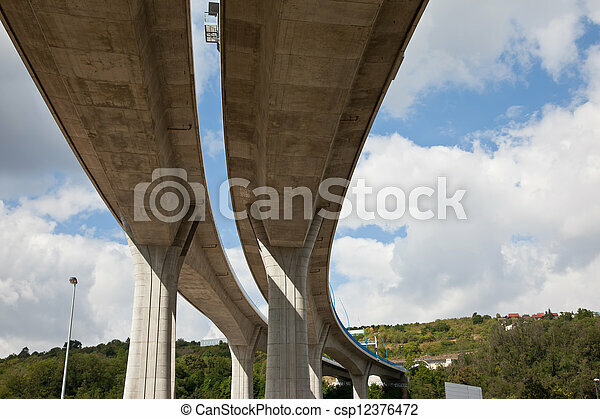 Concrete pilons supporting elevated highway. 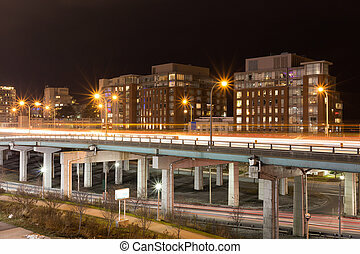 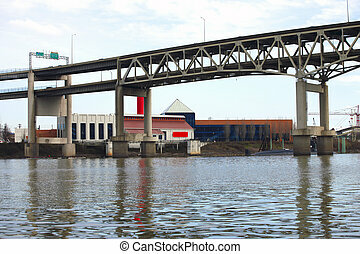 An elevated I-5 freeway crossing the river Portland OR. 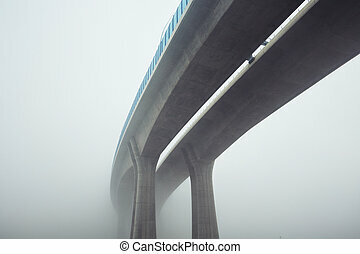 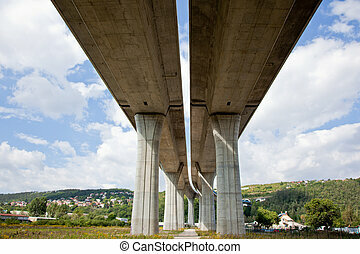 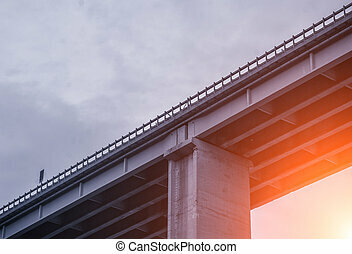 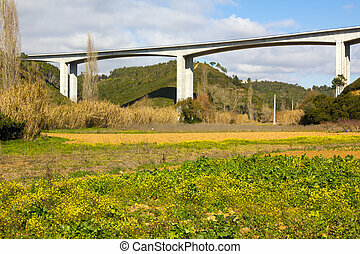 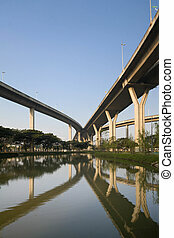 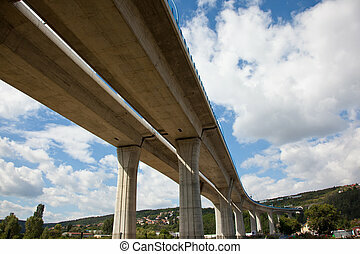 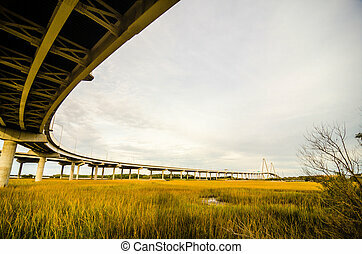 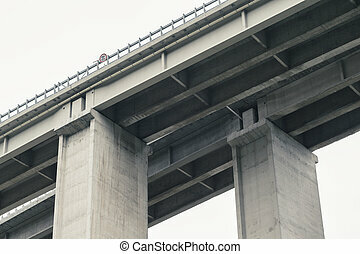 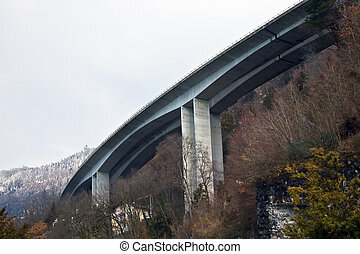 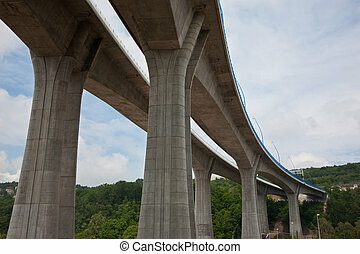 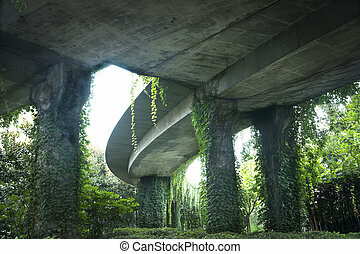 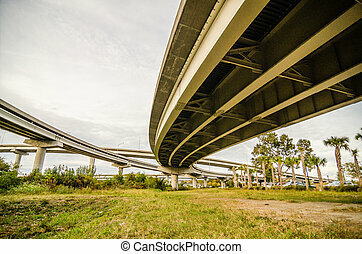 An elevated highway viaduct over a grassy field against a blue cloudy sky.